A unique camera strap from PONTE Leather Co. called Camera Lift-Strap has surfaced on crowdfunding website Kickstarter, and it aims to ease the discomfort of carrying heavy cameras around the neck. 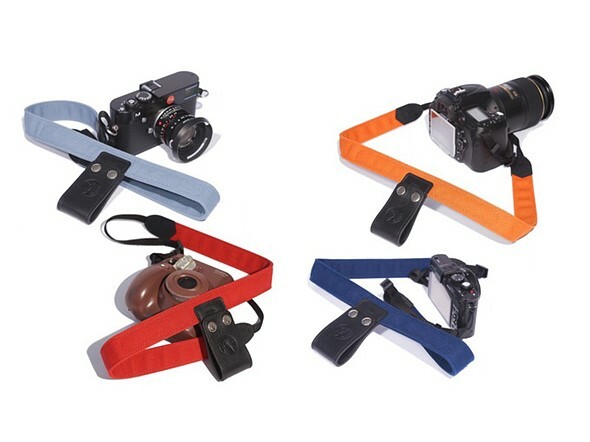 Camera-Lift Strap features a clasp that is positioned behind the wearer’s neck. When a photographer is also wearing a backpack, the camera strap can be clasped to the backpack’s handle, moving the camera’s weight off the wearer’s neck and distributing it onto his or her shoulders. The Camera Lift-Strap is presented in two varieties: the Canvas Camera Strap, which is made of weather-treated nylon, and the Leather Camera Strap, which is made from ‘top grain leather,’ according to PONTE Leather Co. The strap’s metal components are made of brass with an oxide finish. The company plans to offer two attachment types, as well as a custom steel ring for securing all types of cameras to the strap. PONTE Leather Co. is currently seeking funding for the product on Kickstarter where remaining pledge options include a canvas Camera Lift-Strap for $26, an early bird leather Camera Lift-Strap for $35, and various multi-strap bundle options at higher price points. The company anticipates shipping the straps to backers in November 2016.